American Standard provides homeowners with the ability to cool and heat every corner of the home with cleaner, more comfortable air. Each HVAC Air Handler Unit (AHU) can be paired with a heat pump or air conditioner in order to efficiently circulate warm or cool air throughout your house. 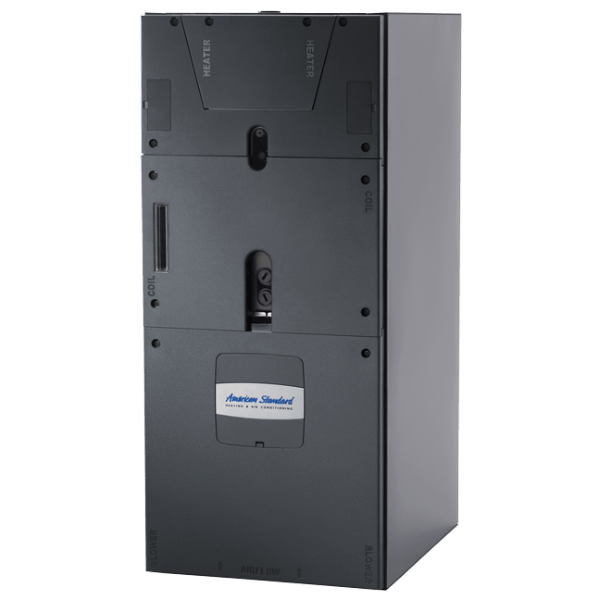 Manage your home with this American Standard air handler that automatically communicates and coordinates with your other system components via the AccuLink™ Communicating System, while also allowing remote monitoring and programming by phone. 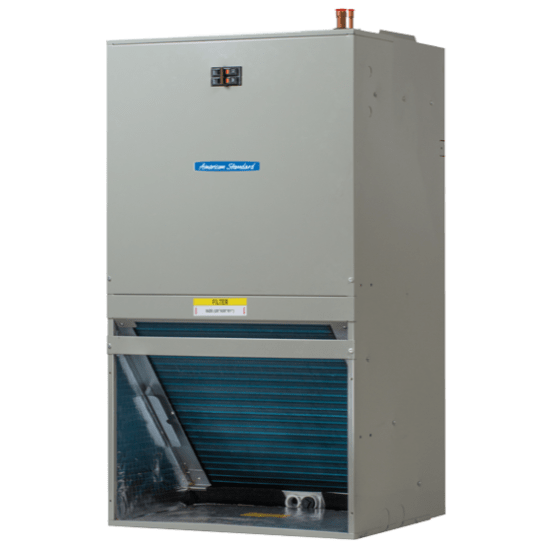 Built to meet the needs of a variety of systems, the ForeFront™ Gold TAM4 Air Handler unit's design helps ensure exceptional air flow and comfort. 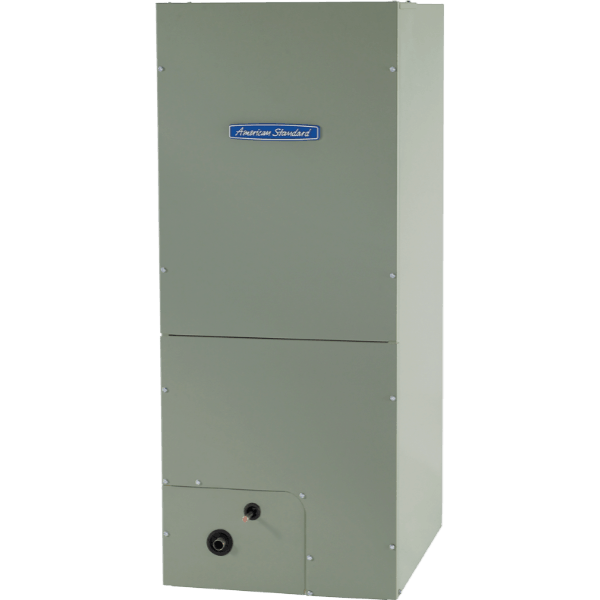 Plus, this residential air handler can help manage your household budget with its efficient performance. This American Standard air handler's unique cabinet design allows less moisture and fewer dust particles to be drawn in from garages, attics and crawl spaces, which helps prevent energy loss and virtually eliminates condensation. Built with a multispeed fan motor, this residential air handler provides quiet, efficient circulation. Improve airflow while reducing energy use and operating sound with the Vortica™ Advanced airflow System. Discover the benefits of the fully enclosed insulation that increases efficiency while eliminating loose fiberglass insulation in your airstream. Utilizes the all-aluminum coil that enhances this air handler unit's life and reduces the chance of refrigerant leaking into the atmosphere. A powerful blower motor makes this HVAC air handler unit an efficient and reliable option for air control. Plus, this energy-efficient air handler offers a unique design that prevents irritants from entering your air. 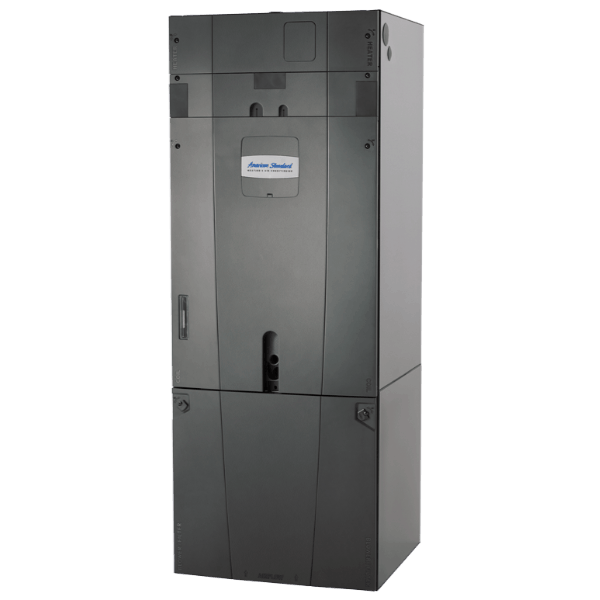 Prevent energy loss and virtually eliminate condensation with the unique cabinet design that allows this HVAC air handler unit to draw in less moisture and fewer dust particles from garages, attics and crawl spaces. Experience the benefits of the all-aluminum coil that enhances system life and reduces the chance of refrigerant leaking into the atmosphere. 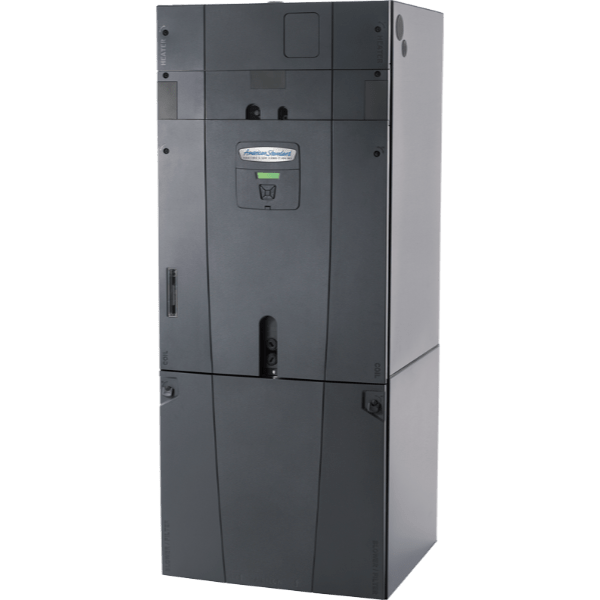 Designed to maximize energy efficiency, this central air handler unit delivers reliable performance at an affordable cost. Plus, thanks to its multi-speed fan motor, this efficient air handler delivers more even circulation to your entire home while also reducing your energy costs. Fan motor in this multi-speed air handler provides quiet, efficient circulation. The Silver TEM4 air handlers are built for specific needs and systems to provide you the most reliable comfort and efficiency, reducing your energy costs. Corrosion-resistant finish and no-leak drain pan protects this central air handler to ensure longer product life and more efficient performance. Energy efficient home heating and cooling at a price that is easy on your wallet.